The NRCS Standard 632, Solid/Liquid Waste Separation Facility, and Standard 350, Sediment Basin, have been revised and are available for comment from Tuesday, March 4th to Tuesday March 25th. The Standard 632 (name revised to Waste Separation Facility) has been reorganized and updated with additional content. The new national standard format has been used. The barnyard sediment basin criteria from Standard 350, Sediment Basin, has been moved to Standard 632. Standard 350 will no longer deal with wastes. In both draft standards below, the main revisions from the national standard are highlighted in yellow. 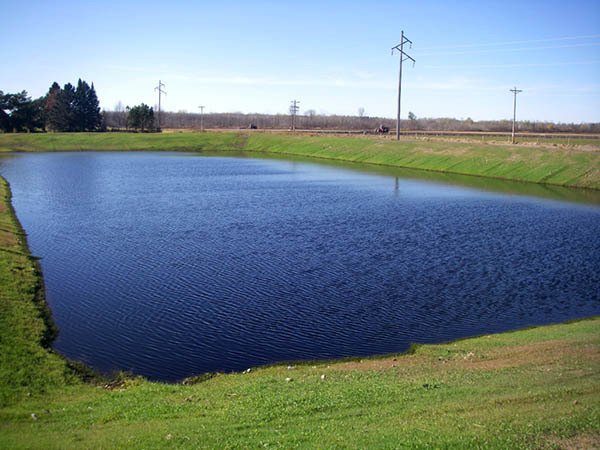 The green shading in Standard 632 is the material inserted from WI Standard 350 for livestock sediment basins. If you have questions regarding the revisions of these practice standards, please contact John Ramsden at john.ramsden@wi.usda.gov or (608) 662-4422 Ext 234. Instructions to comment on standards: Submit your comments organized by section of the standard by Tuesday, March 25th. Keep comments specific and directly related to the standard. Indicate the section you are referring to when commenting, for example “V.B.4. : Does this mean that…” Respond in the same order as the sections appear in the draft. If you have general comments applicable to the entire standard please note them as such. We prefer comments to be submitted online by using the “Comment” link located to the top left of this article or the comment section at the end of this article. Comments may also be submitted by email to soc@wlwca.org to preserve confidentiality. NRCS will carefully consider all comments before finalizing the most recent version of the practice standard. All comments will receive responses from the NRCS State Office. At the end of your online comment you may choose to receive an email update when any “replies” are received to your comment. If you have questions about submitting your comments, the public comment period or our process contact Gini Knight at soc@wlwca.org or (608) 441-2677. Thank you for your input.